Now that fans in the U.S. and Canada have seen the show, it’s a good time to ask about what are the best songs from their new album? With every tour, the band plays all of their new songs and sometimes it takes a little while to figure out which ones can compete for the title. In my humble opinion the best songs usually stand the test of time—the songs they perform at every tour. A cursory review of their set lists shows that there are a several songs that they perform at nearly every event. 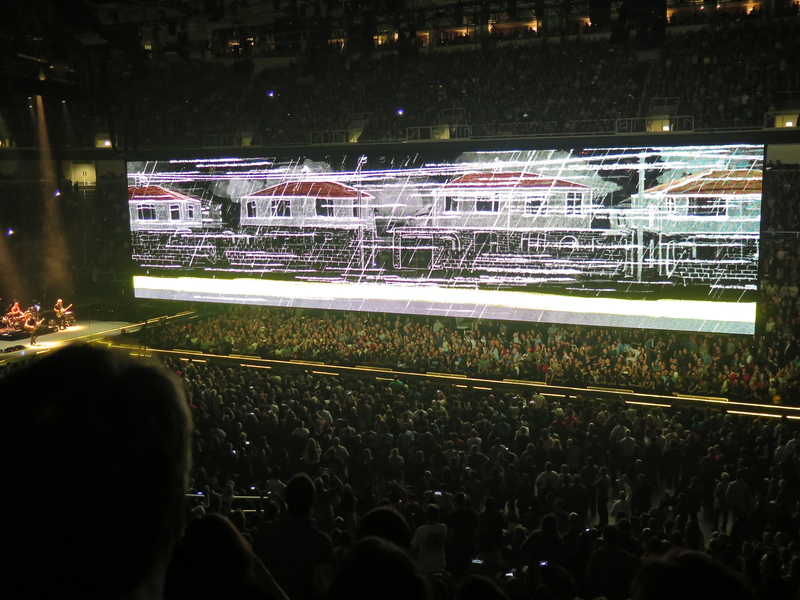 When I first entered the SAP Center, I noticed the enormous video screen and immediately knew that they were going to do something special with it. Obviously, they would have images displayed throughout the show, but I also sensed they were going to do something else. It did have more than one purpose; it was also an elevated stage. 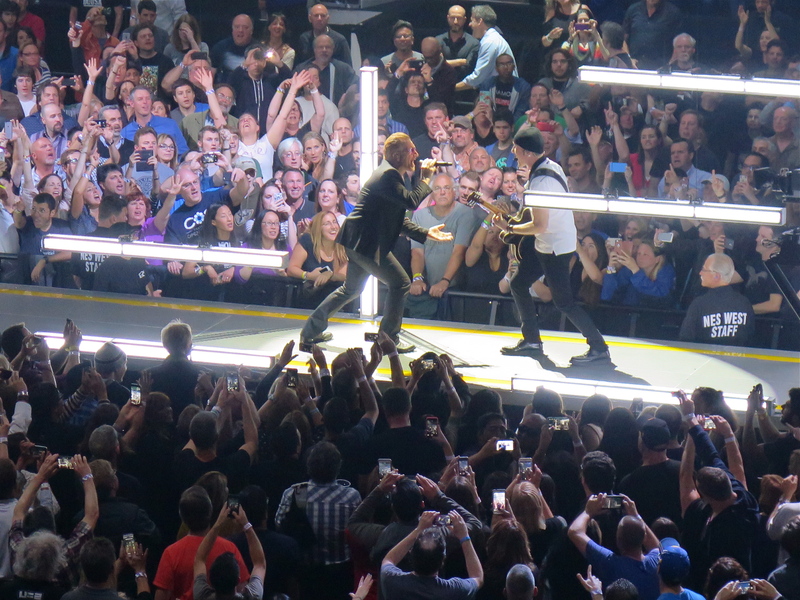 After a few songs Bono walks towards a ladder below the screen and says, “Come with me. Come with me to Cedarwood Road. 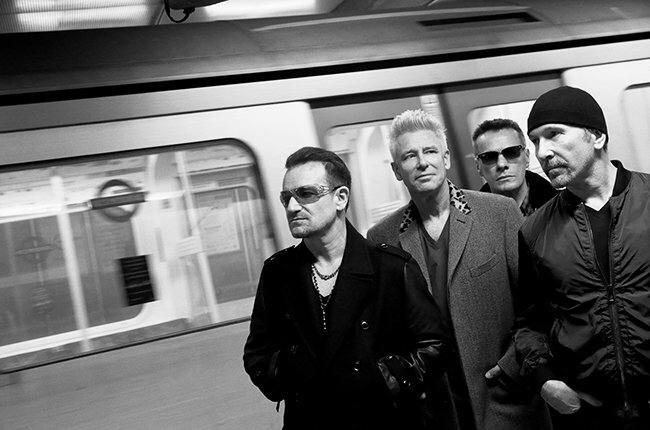 A street I was supposed to grow up on.” As Bono ascends a ladder into it, images began to slide across the screen of a stylized block in Dublin. He is actually in the screen simulating walking down the block. Then Edge smashes into the song with his guitar and the street suddenly becomes more threatening as a violent wind and rain begins to blow (I recorded the whole song with my iPhone 5S and filed it in the Media section). I imagine that when they originally conceived the stage design, a performance like Cedarwood Road was what they had in mind. The very first song that hit me from the new album was Song For Someone. There was something so melancholic about it but yet it was also very hopeful. I just love the way that Bono belts out the chorus like he’s yearning for something that he might never get, but he still has hope. I knew this song would sound great live and in the rare instance where my music instincts were right, it was amazing. It’s a very beautiful piece and I could tell that Bono loved singing it. It’s my favorite song on the album. Technically, Invisible is not from their new album but it is the first time they’ve taken it on the road. There times when video enhancement can take a performance to a new level. This was one of those times. 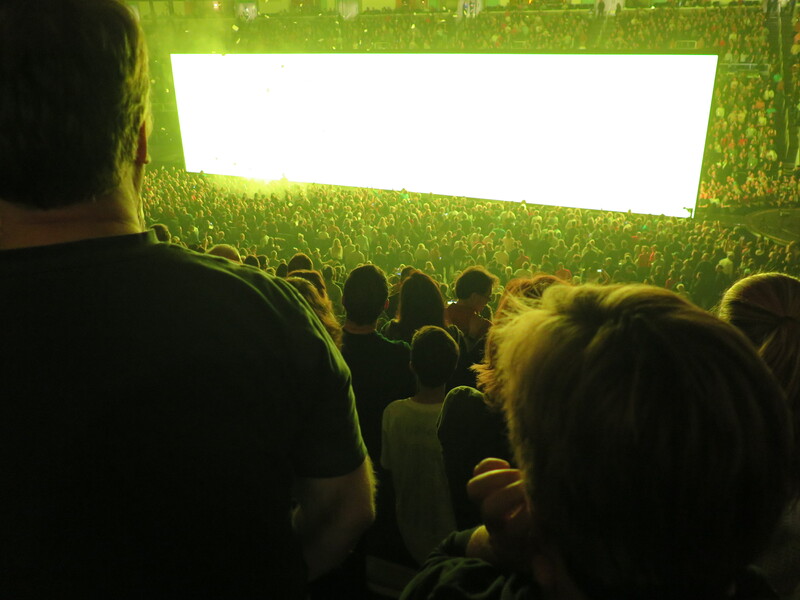 With the entire video screen emitting yellow with jagged black lines simulating and oscilloscope, the band launched into the song into the song. 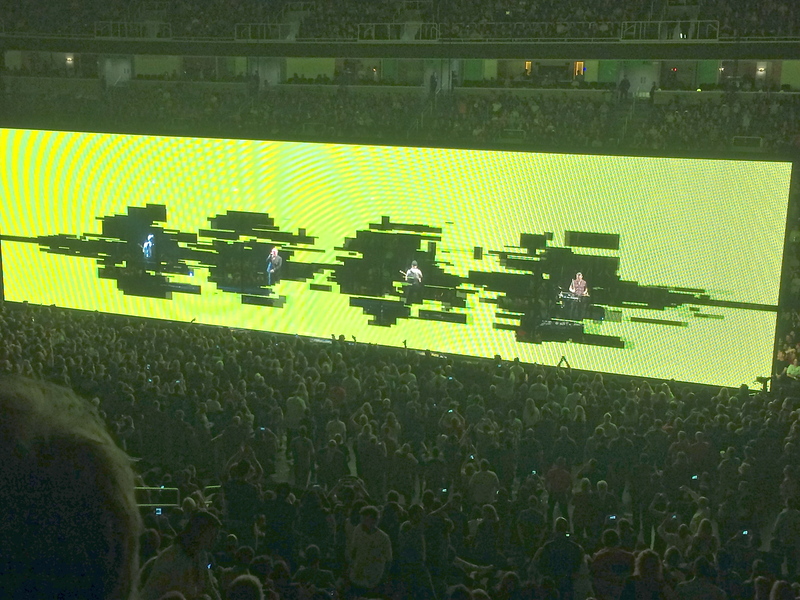 During the chorus the black lines with thicken to expose each band member alternately facing a side of the arena. As the song progressed the holes would close and then open again at the chorus to reveal that each had pivoted around to face the opposite side. Absolutely brilliant. It’s so amazing how they can continue to set the bar on a rock show. It can’t just be a band on stage anymore. There has to be spectacle. It has to be an attack on the senses. If they do their job, you leave the arena with ears ringing, energy spent and both intoxicated and restless. It’s been over three weeks since the band ended its North American Tour culminating in an eight-show stay at Madison Square Garden. Our best-loved lads from Dublin are now taking a well-deserved rest before embarking on the next leg of their tour. New York being New York, the shows saw performances with Jimmy Fallon, Lady Gaga and Bruce Springsteen. 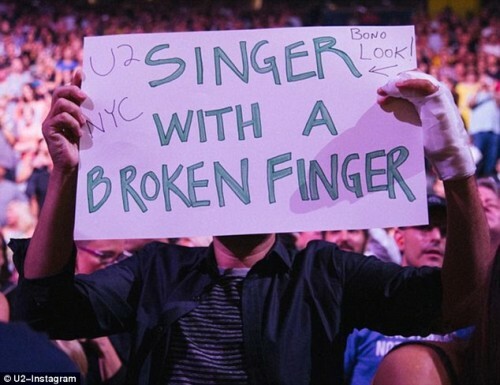 The former got on the e-stage by displaying a sign that read singer with a broken finger. Fallon also got to perform a piece of “Desire” with the band and he looked like a kid at Disneyland. 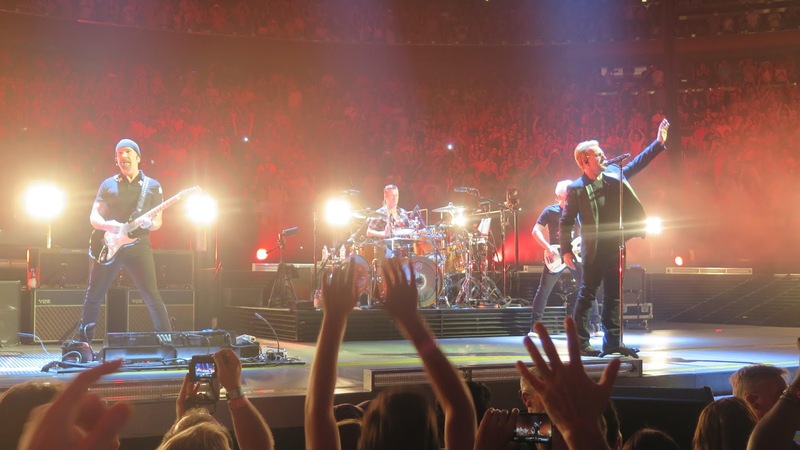 It doesn’t really matter if you are a famous television-star or just an average Joe who is a fan; singing with U2 at a live concert is beyond awesome. The Roots then joined the band in performing “Angel of Harlem”. I must admit, Fallon’s band can groove. They brought a little funk to the soulful tune. Bono, ever the generous performer, sang along with Larry and I almost forgot how much I loved this song. 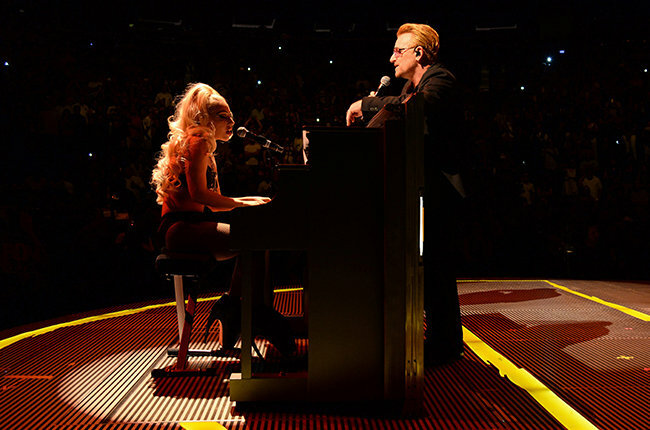 On the fifth show, Lady Gaga stepped onto the stage wearing nothing but underwear and a pair of high-heeled shoes to sing a duet of “Ordinary Love” with Bono. The lady knocked it out of the park. I knew she could sing, but I didn’t know she was that good. As my dad would have said, she’s got some pipes. This is such a powerful song and we’ve all heard Bono sing it. But sometimes it takes another artist with a voice as mighty his to realize how amazing it can be. The fact that it was performed live is truly astonishing. I love the fact that she performed with them. It was an odd pairing but quite wonderful and shows that music truly transcends boundaries. That’s also what makes it so wonderful, that even today it can still surprise you. 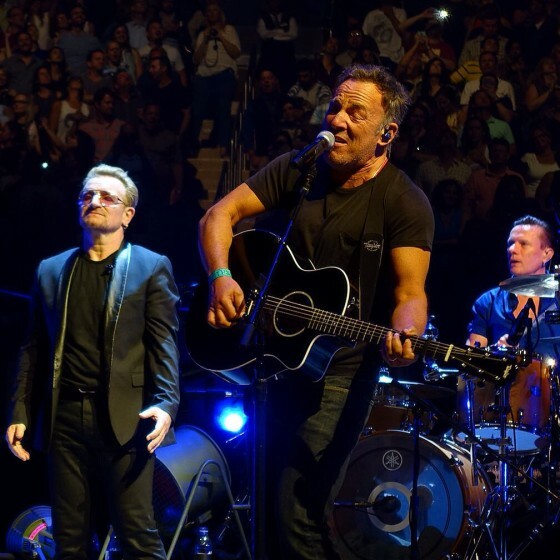 On the final night, the band invited Bruce Springsteen to the stage. This was New York, of course. They played “I Still Haven’t Found What I’m Looking For” and there was no way better to end this leg of the tour with two rock legends, sharing the platform, and reminding everyone that music still matters. Music has always mattered and always will matter. The countdown now begins to the European leg of the tour. The band will be rested and ready to give fans and music-lovers alike another incredible experience to add to memory. I’m so envious. The band performing “Cedarwood Road” at the second show in San Jose. Another amazing performance shot from the other side of the arena. 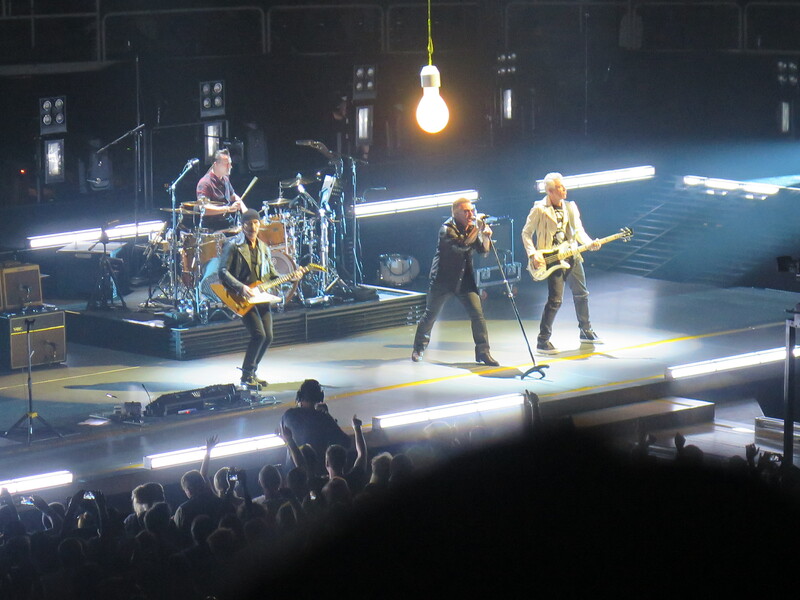 Our four favorite chaps from Dublin began their eight–that’s right eight–show stop in Madison Square Garden this past weekend (July 18th & 19th). The shows are sold out by the way, but there are still ways to gets tickets. With one foot firmly planted in the past, the band performed October and Gloria with all the verve and energy of a punk band just starting out. He’s right. They’re still putting the music first and still themselves out there. It’s only out there where they find out if the music is any good or not. Fortunately for us, it always is. By the end of the night, the crowd is hanging from the rafters. After all these years, their performances still kick me in the chest not matter where I am in the arena. Yes, I’m a fan, but it’s more than that. They rock better than any other band I know. The band ended the show with a declaration from its front man, “To answer the question why this band is refusing to give it a rest, we offer you this song.” With that, they closed the night with I Still Haven’t Found What I’m Looking For.